If you are joining me here today from Proverbs 31 Ministries’ Encouragement for Today, welcome! Let’s continue to connect, ok? It’s easy! Just sign up to get my blog posts automatically by clicking here. I’d also love to connect with you more on Facebook, Twitter, Instagram, Periscope and Pinterest too! It sounds so wonderful; definitely what I want! But what exactly does fullest potential look like? It probably looks nothing like what we envision. How much can you pray, hope or dream? Your full potential goes far beyond that! Your child’s full potential. Your husband’s. Your friend’s … and the man on the corner without a home. All are filled with God-given potential that the Giver is able and willing to supernaturally begin working in us. So what are we waiting for? Why are we holding back on not only asking God to release His best in us but to loose His potential in those around us? Sometimes I think I am waiting for God to take the first step. For Him to make His move. But in this verse, I think it indicates the first move is to be mine. I have to dare to dream. I have to audaciously ask. I’m doing it! I’m dreaming and I’m asking. They are probably tiny dreams in light of the One I am asking them from, but I’m starting! How about you? What would reaching your fullest potential look like? What would you do, what would you ask for if the One who could do it all, asked you about your dreams? If you want to be brave today and share with us what reaching your fullest potential might look like, this is a safe place to dare to dream. I will come alongside you and pray over those dreams. (For some, I’ll post my prayer right here. For others, I’ll pray as I read your comments) If you’d rather not share, but want to be including in the opportunity to win, just say “I’m in!”. For one commenter on the blog today, you will be the winner of a Reaching-Your-Fullest-Potential gift box. I’ll announce the winner Wednesday on my Wednesday Wisdom Tip. My dream is getting the job God wants me to have. I know He has a plan. I want to be in the center of His will for my life, but I am struggling to determine exactly what that is. I came across your site this morning and it touched my heart. Asking God to help us reach the full potential He created us to…AMEN. It put peace in my heart to realize perhaps I was not asking and trusting as I should. I took the first move. Thank you for sharing the post. My daughter is a senior in high school and will be heading to college next fall. I think the book, Magnetic, is just what she needs for this year and to help prepare her for next year. I love your devotionals – what they mean to me and being able to share them with my daughter. Our worth is found in Christ alone! I have tried everyday to put gratitude at the forefront of my mind and thank God for every blessing. It feels good at the time but negativity and doubt, fear and frustration keep slipping in. Please pray that I can continue on a positive path seeking to be a better person who is making the most of the gifts God has given me. Help me to continue to focus not on those in my life that I cannot change but on changing myself into the person God made me to be. Such a wonderful prayer request, Marjory! Lord, help us TODAY to keep at bay negativity, doubt, fear and frustration. Like Marjory, they slip in before we are even aware of their presence. Make us more sensitive, Holy Spirit, to not allow them any space in our heart and mind. Amen! So many reminders lately of the importance of God’s word in my life. Each day begins so new and fresh and then seems to get bogged down quickly. I need to make time for His word throughout the day to be renewed. I’m certain God has something for me that I’ve never thought of when it comes to reaching my full potential. I often find myself designing my own potential instead of seeking Gods. I know His ways are higher. I know I can abandon my design and embrace His design for whatever that full potential may be & what it will ultimately look like. Ready to exchange my ways for His ways. My dream is to be a mother, daughter, sister, wife and friend that is full of Love. I want to be 1 Corinthians 13. Anger, pride, unforgiveness and bitterness have gotten me tired and focused on what’s wrong. There is so much positive to focus on and to be thankful for. I know that this is the beginning to becoming all He has created me to be! So true and so beautiful, Jen! God had given me Ephesians 3;20 about a year ago & I have been pondering/praying ever since. One of my dreams is that He will work not only in my life but my daughters & grandchildren more than I can dare to dream for us. Thanks for allowing God to use you to speak truth! For me I think that many of my dreams have been pushed aside while I raise my 2 kids and try to help them reach their full potential. It’s hard sometimes to remember the dreams. Lately I have been reminded of one of the dreams I had and I would love to see God bring to fruition that dream and others that I’ve had through my life. God help me to remember and to dare to dream even now! I have 3 daughters in their early 20’s. Helping them navigate thru school, relationships, careers, and life in general has been a greater challenge then teaching the to walk. I pray daily for wisdom and discernment when they come to me for direction. I always direct them back to God, but I want them to develop the confidence to seek Him on their own. I think these books would be a great resources for all of us. Oh Stefanie – I couldn’t agree more! Like Christy, it’s hard to think of my dreams as I focus on my two girls. But I dream I had a while back was to go back to school, to a seminary perhaps, and take classes in Biblical history, and deep study of the Bible in the hopes of getting a degree that would satisfy my intellectual curiosity, but also serve God as I helped a professor or author with research. I’m not sure if that dream is even dreamable anymore. I’m really at a loss for what I would dream for myself. My dream is to have a peaceful, organized home and life for my husband and kids. I feel like I try to start over every week trying to eat right and take care of myself so I have energy to accomplish all I want to get done and then I end up overwhelmed by about the end of the day Monday! I want the love and peace of Christ to shine through me, so others will be drawn to Him. Thanks for the encouragement today. I would love to win the giveaway! Cristy said it perfectly – after two kids, my dreams have disappeared. They’re finally starting to peek through here and there in my mind, but now that I’ve been removed from the academic/working world for a while, I’m not sure where to start, and starting from the beginning is daunting. My husband and I have talked about doing something in regards to missions work, but again, we lack a vision for what that looks like. We truly want only what God has for us; we have learned our way falls exceptionally short and is futile. I have been struggling to find the woman God says I am. I am on the back side of multiple losses, my daddy’s quick death from a diagnosed brain tumor and my husband choosing to leave our marriage. Both rocked my world, hittiing within a couple months of each other. God has carried me through this mighty storm. I know He will bring beauty from the brokenness. I’m trying to learn how to go forward and desire for others to see God’s light through my darkness. I desire my pain to be productive and hope to help others who also seek healing. My third marriage just ended. I have travelled SO far from the right path over the years. I’m recovering from the shame, feelings of worthlessness and guilt. My dream is to find God in me and live the life he has always intended for me. Oh Jesus! I know you can heal the heart of Jill. Reassure her that you have a future and a hope for her. You are there, to take her hand and lead her in the path of peace. Amen! I just read your P31 email and I felt like someone was describing me in my youth. I am so excited to have discovered your writing and look forward to delving more into your books! I’m in! I need inspiration. My dream is to be able to be content with who I am and who God made me to be. He has me where I am for a reason. I need to work on my relationship with God to make this happen. Pray for me as I come along side a good friend of mine that is an alcoholic and is searching for the Truth and a way out of the depency of alcohol. If she sees what God has done for me, she would come to an understanding that God loves her. I want Jesus to be my central focus every day. When people see me I want them to see Him. I pray for the love and joy and peace of Christ to be in me. Thank you for your reminding us. These books sound wonderful. Such life giving wisdom from P31 every day. I am in desperate need of it. Thank you for what you do. Thank you for your encouragement, Jenny! My plans have all fallen apart and right now I feel so disconnected from God I don’t know how to get back. I feel empty and alone. I want to be a better Mom for my young girls. Feel like I need a miracle. My dream is to be a full time stay at home mom to my 4 children. I have been praying for this for 12 years. My kids are 12, 10, 8, 5. It is hard sometimes when I know God is listening but my dream is still just a dream. God has given me a new dream over the last week or so. This dream is so big it can only be His dream. He has laid on my heart single moms. There is a huge need to reach these moms and help them get started. We are looking at starting a single mom home for those who are struggling with being a mom. Maybe they never had a mentor to teach them about caring for children, themselves, finances, etc. Maybe they are a recovering addict trying to get their children back. I am excited to see what God is going to do with this dream and where He is going to take us. The fun thing about this dream is that when I was in college I had a dream to have a group home for troubled teens. God has taken that dream and turned it into one for struggling single moms. God knew just what I needed to read and hear this morning as I found myself ending on your blog reading about being my fullest potential. Thank you Jesus for reminding me that I too can hope and dream and be everything My heart desires. Everyday my life seems like a whirlwind as I’m a mom, wife, employee, friend, and daughter trying to get it all done. I know most of all I’m a child of the most highest and I pray for his will to be done and that I seek him in everything I do. I pray im my fullest potential sharing and showing his love daily when I’m a mom, wife and co-worker. let me be the woman God intends for me to be and that I give 100% daily to my fullest in all I do. This devotion is just what I needed to read this morning. As a Stay at Home Mom of school age kids who only works part time, a few hours a week, it be discouraging and difficult at times to know God’s plans. Recently, we were our family was in the process of getting involved in a brand new ministry, but out of fear of time with our family and wanting to do these years well we are reconsidering this ministry idea for now. Thank you for this message this morning. God definitely wants me to seek Him and His ultimate plan and potential! I can’t tell you how much of a blessing these words were today. Many blessings to you and your ministry! Spot on. Just finished reading a prayer request from the future daughter-in-law (love) of one of my Bible study sistas. Her requests included plans for the future and requests for healing of her parents’ marriage. I had alreay prayed for another daughter whose marriage is broken. Now she will be a single mom and I know the challenges she faces. I am blessed to have good friends to share life with every day. Your blog gave me much to consider before praying with them. I also appreciate the mean momma post. This weekend was homecoming and FB was flooded with pictures of attire that wasn’t always becoming to the young lady. As my daughters, granddaughter and I looked through the pictures, some of our remarks were unworthy. Lynn, your words nudged me to turn that conversation around. THANK YOU You need to know your God-sent words have influenced my conversations with my 13-yr. old granddaughter and her friends. LORD, I pray that these girls will always seek Godly advice and will be daily in Your Word. Amen. Thanks for your encouraging words! I pray I can be an encouraging Godly mother to my struggling daughter. Thank you for reminding me that I have potential to dream big and that God wants me to! As a divorced mom with three kids, my prayers have been focused on just keeping my head above water for the last few years. I’m definitely ready to go beyond and be used by God for his purpose for me! My dream? My dream is to see me two oldest children find their way back to God and break free from addictions. I dream for my marriage to become whole, a relationship where we lean on one another and together lean on God. I dream that my husband will get the job that he desires and that his pay increase allow me to stay home full time with our youn son. I dream for peace within our family, all of our family. I dream that one day my relationship with God is so strong that I can at all times feel His presence in my life, even when all the above situations drag me down and weigh down my heart and my mind. We as a family are in such a fragile place right now, two teenagers…need I say more? My son, a junior, is trying to plan his future, and my daughter, one month away from 14, is trying to find her “place” among two extremely different groups of friends. I’ve always wanted to do something more community oriented but haven’t quite figured that out yet. I am praying for all of us to reach our true potential. Any extra prayers are greatly appreciated, and thank you for your messages! Reaching my full potential would look like my being patient and not fussing at my kids and not always being OCD about the way the house looks while being the best wife and mom I can be. It also means being the best teacher I can be since I am going to college to be an elementary school teacher. It is hard trying to reach your full potential when you have feelings like you aren’t capable of accomplishing what God has placed on your heart because you are being told by others that you shouldn’t go into that profession mainly because of the pay that comes with that job. But God gave me a heart not to give up and kinda stubborn because when people tell me I can’t do something that is exactly what I am going to strive to do. I love your determination to listen to what you feel God is calling you too and not what others think is best for you. Thanks so very much for your response Lynn. It really lifted me up. I’m in!! Through the last month or so, I see the hand of God bringing me to a new place in this last season of my life. He is leading me to develop all my God-given potential and to help others do the same. Thank you for your Proverbs 31 ministry, it is how I start my day. This is beautiful, Marsha! Lord, bring Marsha’s desires to pass. Amen! With young kids my dream is to find a healthy balance of fully using my talents and abilities both within and out of the home. I love being home with my kids and know my family needs to be my first priority, but trying to work through how God wants to use me to minister to the many needs around me. And my heart is breaking. No more church…..I have no place to go, that is how I feel anyway. Oh Rebekah – as one who has never been in your place, I couldn’t possibly understand the depth of your pain. Mad and angry are certainly justifiable. Thank you for sharing your heart with us. You need a miracle in so very many ways. Can I please have the honor of praying for you? Please pray for my family and our future; we have lots of house projects, questions regarding if and when we should put our parents house up for sale and what to do then….I am also struggling with relationships. I am thankful for God’s help and your devotional to help me appreciate that I can do all things through God who strengthens me! God bless! Praise God for answering prayers! It’s been a long year of job searching, but God is faithful! And as I move into this next adventure and transition to a new place, I dream and pray that all the particulars will just fall into place in such a way that God’s divine hand can’t be denied. I dream that He will meet all my needs and my testimony for Him will be bold. I dream of forming new relationships in Him and healing old relationships through Him. I dream of being His witness wherever I am. I pray that I stop worry about the optics or what the world considers success and instead embrace the glorious victory I find only in Him and that He might define success for me. My dream includes listening. I know I want some new direction in my career – teaching – but I am not sure what direction that would be. I’ve recently gotten my Master’s degree to open up more possibilities and may have the chance to experiment with teaching at the university level. I just want to embrace the time I have left working and not mark off each year like something I have to “get through”. My dream is for God to show me my purpose. What I am to do. I already know that He is going to birth something that is inside of me and I am truly excited! Thank you so much for sharing this with us, Rebecca! My dream is to see my sons, DIL, and future grandchildren have a personal relationship with Jesus. Being over the half-way mark (age-wise), has shifted my focus a lot from that of my younger years. Thank you for the chance to win this amazing gift pack. Should I win, I have the perfect girl in mind for “Magnetic” – my very-soon-to-be-here grand-daughter. .
My dream is to heal from past hurts and abuses. To be whole and not be controlled by those things. To heal relationships in a healthy way where goid boundries exist. Wow – you were speaking about me. Thank you for this uplift this morning, I really needed it. I feel like I am so far away from my Lord sometimes, even in my daily devotions. I know He loves just as I am, but I want to be more for Him. Thank you from the bottom of my heart. God is so good, Carol! I want to be the best model of Christ likeness for my husband and our kids. I want to be the proverbs 31 woman. I would like our home to be a safe haven and not a box full of bad memories. God give me strength. Good morning, my dream is that I can live out my full potential that The Lord has set before me. I have a hard time believe I deserve to be happy when others around me are not. I pray that I bear good fruit and understand that it is ok to show my Joy. The Lord has blessed me with a great life but it has come from a lot of struggle and I still have a hard time accepting it. I’m surrounded by people who like to see me fail instead of being happy for my success. I pray that I’m able to accept what The Lord has blessed me with and live my life with JOY! I just love sharing these pearls of insight with my 20 year old daughter who is away at college! That atmosphere can be so full of sin and temptation and these devotional a are so helpful in opening a dialogue for her to trust me with any situations or struggles that she faces. As well as helping me to see my potential! I love that, Cheryl! I have three kids in college as well. I am so very glad these open doors for conversation! A friend from church has a dream that she has mentioned but not what it is specifically. I would love to win this for her. And was hers , and she lived as such and my hearts desire is to continue to live for God and with God. My greatest desire is to allow God to have His way in all areas of my life. To allow me not to allow fears of inadequacy or failure to lead my decision making. I believe he has given me ideas to carry out so that others can be blessed and be brought to Him but many times my insecurities creep in and stop the process from going forward. I believe He has a work for me, I simply desire to allow His will to be done and my fear to be gone. I also pray for wisdom and discernment to know exactly what it is that He is calling me to do. Lord, break fear in Iliana’s life so that nothing will hold her back from moving forward. Amen! I think I have forgotten how to dream – just living life and taking things as they come. I know God can do so much more in and through me. I just have to ask and be willing to step out in faith. Thanks so much for the encouragement to do just that. My dream is to start a Christian theatre company. In Orlando, where I live. Please pray that if God wants it, I will come in contact with the right people. And he will show me which avenues to pursue. Would like to start a Bible study group for women in my home . there are so many areas in life I strive to reach my full potential – as wife – mother – daughter – sister – friend….help me to prioritize and bring Glory to you in all these things and how to sort it all out to find time to live it all out every day! God has been so gracious to me. So many dreams he has fulfilled. As I enter a new season of life with children becoming adults, I am asking Him to give me new dreams. My full potential is in loving others as much as I love myself (paraphrase)! To truly love God with all my heart, mind, soul and strengths! My reach right now is to do what God is calling me in this small thing with athletes, to prepare me for this bigger thing. I believe He placed it on my heart, and He is opening doors that I am not privy too, yet. I want to be obedient each step and trust that He has the greater plan. I would love the encouragement that the “apckage” giveaway has. Thank you. My dream is, and has always been to be a mother. I am also at a place where my long term career has recently ended, so I´m struggling to figure out my next steps. My dreams look very different than my reality right now, so I need God to show me His plan. I’m in…my dream is too private and personal…but God knows! I could very much see myself toward to middle of your devotion today. I was NOT the girl who was popular or smart or was a magnet to success and guys. I was saved at 14, but with a lifetime of hurt, I looked to others to fulfill what ONLY Christ can do. I am 53 now and I see so much of what I was looking for then can only be found in HIM and Him alone. I love how this devotion on Proverbs 31 made me stop, think and realize just how far living for my Lord has brought me in my life! Less of me and more of Him! Your devotion was so awesome and thought provoking. Thank you Lynn! Thank you so much for your encouragement, Jenny! I fear that I wouldn’t know what my full potential is, even if it hit me up side my head. I thought I was hearing God’s plan but now I am not sure. Patience is a tough one this time. I am a nurse working at a hospital and my dream is to be a prayer warrior to my patients, but I can’t seem to make it work. Please pray my strength in the Lord. I long for a closer, more meaningful relationship with family member. I want to be an inspiration to them, but I need to find out how to be an inspiration to myself first. My dream is to be able to see my own potential in the mirror. To believe in myself the way I know that God believes in me. To see the beauty in how he created me. I know that I am created for so much more than what I am right now. I just need to believe it. I have some big decisions coming up and some things I would like to do. I want them all to glorify God and right now I am not sure if he is saying no or wait on some of these things. Praying for peace and clarity. I think the biggest hurdle I am facing is I can’t really talk to anyone about any of these things. For me, I have just accomplished one of my major goals. It is refreshing but at the same time will continue to need work as it is not just a “One and Done” sort of goal. I need to continue to push to have that everyday relationship with Jesus. Prayer got me through these last couple of weeks but I need to continue to not only pray but go deeper into God’s Word to know what the next steps in the Big Plan of life are. Lord, we know it is the desire of Your heart to be in communion with Lisa each day too! Draw her each day and help her to find the discipline to keep going and see thing results of a heart closer to Your’s. Amen! Desiring to be all that He wants me to be. Learning to dream again – life’s circumstances & my reactions to them caused dark times – after years of separation from Christ I’m a prodigal returning & basking in the warmth & light I missed so deeply…experiencing HOPE again? Praise & Blessings for you & your ministry – thank you for sharing your dream with all of us. Praying to reach my full potential and that as I do, my children will be drawn nearer to the Fathers side. My dream is to one day be a motivational speaker for women encouraging them to find satisfaction and love in the Lord and no where else. Beautiful dream, Ronette! Have you heard of She Speaks Conference? Each summer in July, Proverbs 31 Ministries hosts women who feel called to speak and/or write. It would be a great way to gain encouragement in your dream. Thank you for your post. I have begun asking God to heal me from a sickness that has overrun my life. God has big plans, and I need to have big dreams. I have been trying to cure myself now for six years, but I now know that only God can make that happen. I have been praying now for the healing touch of Jesus to come upon me. I want to say Yes to God in all areas of my life, I pray that God will give me strength and healing. My dream is not directly for me but for a young lady that I am mentoring. She came from a home where her mother ran the streets and left her and her siblings with babysitters or all alone. Because this young lady did not have the guidance or proper upbringing, she ended up pregnant at age 15. She got pregnant again when she was close to graduating high school. But because it was difficult going to school and working part job to take care of herself and kids, she ended up dropping out of high school. This young lady has determination and a desire to make something of herself. God put this desire in her heart when she was young living at home. Since the Lord has brought this young lady- who is like a daughter now- into my life, she has gotten her driver’s license, she got her G.E.D., and now she has started college and is studying to become a nurse. My desire is for her to fulfill her dreams and to become the woman God created her to be. I know it won’t be easy for her, but I know God has His hand on her life. It is difficult for me to turn things over to God. I try to reach my dreams and goals with hard work and determination. When I look back over my life EVERYTHING wonderful and every big goal attained was from and through Him. His timing is not always mine, but He provides more than I could have imagined on my own. He gave me a Christian husband. He blessed us with two amazing kids through adoption. He engineered a work/family balance for me. However, even through these blessings, I find myself lost in a sea of doing everything I can for everyone else and I have neglected myself and my personal walk with Him. My dream today is to revitalize my relationship with God and allow Him to guide me and restore my joy for life. My prayer is to put God first in every area of my life. To do his will and not my. I’m praying for God to unveil the fullness of His dream and exactly what that is. For today I’m just striving to become more like Him. Thanks for sharing. My dream is to reconcile my longing for a husband and children with the actual blessings in my life currently- a loving family of origin, a great job, involvement in my church, and good health. It might be that God’s potential for me looks different than I thought it would. Learning to trust God for his plan unfolding is my dream. My dream is to be a writer. I love writing but everytime I sit down to work on a blog or something to start on a writing career, something happens and I lose my focus. It happens easily, Jem. I get distracted so easily when I am writing or working on message prep. One piece of advice I need to take is to shut off social media and block out “no distraction” time. Say a block of one hour. I pray that my husband, children, friends and strangers will see my light shining for Christ. I know that God has a plan for my life. I pray he will open my sight and mind to the things he is revealing to me each day. Amen and amen – do this work, Jesus. Shine through Brooke’s actions & her attitudes with every person she comes in contact with. I’m in!!! Thank you for your encouragement today. This is a huge struggle for me. I SO desire for God use me and allow me to reach my full potential! My dream is to write a book for young women, reminding them of their worth & to guide them to see their value & contribution. Also, to mentor these young women to make wise decisions regarding boys & their future. I’ll use my own experiences in overcoming life’s hardships & learning lessons the hard way to assist in my message. As so many single moms out there have mentioned, putting my own desires to the side so that I can help my kids reach their full potentials has been my focused. I want to have a closer relationship to Bible study and in effect God. My dream is to be the wife, mother and friend that God has called me to be. I keep looking for something bigger but He keeps turning my fave back to that. Because of a background of an abusive father, I know my deep issue of trust is completely believing God will get it right for me! That He knows me so well and that I can rest and wait and worship Him as He helps me reach His full potential in me. So, I chose to trust Him…day by day, moment by moment. I get caught up, as only a Peter kind of gal can, in not wanting to waste any time! And I know…any time spent with the Lord is not wasted! Just can get antsy, you know? Karne, change … so hard! Thank you for your prayer, Lynn. Hi Lynn! I’ve recently stepped away from a career that though very promising was too soul sucking! I could not see how to grow into the person that God wants me to be by staying. I believe that God is calling me to write, but without the community of a team/office around me, I’m losing the motivation to stay focused on this goal. My husband and I are expecting our first child which is such a blessing and I am very happy for, but I am also slightly afraid of how being a stay at home mom is going to make pursuing those goals unattainable or at least set them back a number of years. I’m worried about being lonely and losing the motivation that has always driven me. Perhaps it’s just a matter of realigning priorities (easier said than done), but I really feel that God has not given me talents simply to set them on a shelf to collect dust over the years. I want to know how to use them in the new chapter of life ahead and to have an eager heart to take life by the horns! Sarah, I understand your concerns fully, because as a speaker and writer, I have experienced loneliness. I’ll be honest, it is completely different from being a part of a team in an office. I think that is honestly part of the sacrifice of using these gifts. We do, though, have to be intentional to find people – people we can meet with face-to-face on a regular basis to have our needs for fellowship met. I have been trying to do a better job at this and it is helping. One mistake I have made is trying to do too much writing or message prep in one day. It is quite taxing to work with words for long amounts of time. I try working for 2 – 3 hours and then I stop. Run errands. Do a couple of house cleaning projects. Read a chapter in a book. And…make room for friends. Whether they speak or write or not, it is good to be with people. Ask the Lord to give you a schedule that works for you and again – I encourage you to not try to make it look like a normal 40 hour, 5 day a week job. It is just a different type of work. Thank you for your wonderful post today. As I was doing my RTW today, I paused on the story of the withered fig tree. 22 Then Jesus said to the disciples, “Have faith in God. 23 I tell you the truth, you can say to this mountain, ‘May you be lifted up and thrown into the sea,’ and it will happen. But you must really believe it will happen and have no doubt in your heart. 24 I tell you, you can pray for anything, and if you believe that you’ve received it, it will be yours. I was thinking about the ways that I am be a tree with leaves but am I bearing fruit? And as I read through the teachings of Jesus so often he talks about our belief and faith. I want my faith to allow him work miracles not limit him. I want my belief in an all powerful God to increase my faith and shrink my fears. What if I really start living what I believe and on a Big scale not on a safe and calculated approach. For me, reaching my full potential would be living without the fear and of my physical limitations. It would be living with the belief that God has called me to do certain things and until I hear differently I will trust that he will give me the strength and the provisions to carry out his will. I want to bear much fruit for the glory of the Father. When he does the impossible through me then he gets the glory. And may many believe in his name. I would like the wisdom to meet my childrens individual needs and figure out how to schedule it without feeling overwhelmed. I also am in search of what my spiritually gifts are! Hi Tammy – have you taken a spiritual gifts test? It is easy and free. Just google – Spiritual gifts test and it will come up. I want to always be in the center of God’s will. Right now I am a stay at home mom, blessing women battling cancer (and other things) one card at a time with my ministry, BUT I feel like there is more- more He is telling me to accomplish, I just don’t know how and where to start. Thank you for your encouragement and always pointing us to Jesus. You are awesome! be blessed. be brave. be bold. My dream…is to have a dream. I was a teacher and a worship leader engaged in full time Christian work until about three years ago. My path took a huge turn when my husband suddenly passed away. My daughter and I were so surrounded by God and His servants during that time…I honestly and fully experienced what it’s like to be totally carried by and dependent on God. But now, I find myself paralyzed by indecision. Having experienced Gid’s goodness and faithfulness so fully, I don’t want to ever step one foot ourside of His will. So, I’m frozen. “Afraid” to step at all. ‘What if I choose wrong, what if ….” But, I know God! And I know that whatever I choose, He will lovingly move me where He wants me! So. Yeah, about that dream?? Still trying to hone in on that one! I get glimpses of a cozy place, a safe place, teens feeling a sense of ‘home’…. Just need clarity. Or maybe I just step ?? My dream is that,Jessica potential will be to serve Jesus.I don’t know what is my purpose after 7 children I’m trying tof find it. I know that is to serve my Lord and Savior .I couldn’t been that best mother without him .Jessica a stay at mother all these years .I Ask him what can serve in but it’s easy when all you know is just being a mother .I so won’t to do great things in honor to the great I am. Thank you for the pose and challenging me to dream big. I know God has a purpose for me. I have been a nurse for many years and know this is what God called me for. I pray for my patients regularly. I am now in school to work at a new level. I work in a VA hospital caring for veterans. This is a true blessing. Many have serious health problems and substance abuse problems due to serving our country. My dream is to help these heroes to see Gods grace and provision. I want to help make their care the best. I so appreciate this challenge! My hope, dream and prayer is that I have a servants heart like Tabitha did. I am expecting our 6th child (5th daughter) in January and see how important my example is to my girls and my son. It is a daily struggle to have the selfless servants heart that I so desire! Thank you for your ministry! I read “Where Did She Go Wrong?” on iDisciple today. For a long time I have been feeling like that woman. I was not the most popular or the prettiest and I didn’t have the best grades, but I had a lot of talent and potential. I was a leader in my church, had plenty of friends, was well liked by most of my peers and my superiors, had no trouble standing my ground when faced with temptation, and I really thought I was going somewhere. Then I went to college and everything changed. My parents went through a nasty divorce after 20 years of marriage and 6 children (all younger than me), I suffered from an extremely abusive relationship (my first relationship as well) that left me feeling worthless and suicidal, my grades and my confidence suffered, I was diagnosed with depression and went though years of fighting medications until we found something that worked, the mix of the medications and extreme exhaustion left me very sick, and it seemed like there was no way out. Then God gave me the best friend I’ve ever had; a transfer student who pulled me out of my funk and brought me closer to Him. Without that friend, I know I would not be here today. I never got back to who I used to be, but with the help of my friends and God, I’ve moved out of that dark dangerous place. Now I’ve been out of school several years and a year ago I moved several hours away from anyone I knew to live closer to the man who plans to marry me one day. I needed the change of pace and we were tired of the strain of having a long distance relationship. I’m now working 4 part time jobs, just trying to make ends meet, and I’m looking for that elusive “full time forever job.” My boyfriend is working opposite hours, so we don’t get to see each other that often, and I’ve been feeling very alone and helpless. I see my friends posting online about the cool things that they are doing with their lives and I can’t stop thinking about how my life pales in comparison. Your article really spoke to me and gave me that hope to keep moving forward. While I’ve not strayed far from the path, I think I really did need a little redirection. You are welcome, Erin! I, too, have experienced the danger that comes with seeing others on social media. Honestly, it has led me to a struggle with jealousy. I have had to confess to the Lord my sin. I know, even with all of the twists and turns in your life, He is not done doing a good work in You. He will complete what He started, Erin! Reaching my fullest potential means to be the best most effective nurse that I can be. I’m going back to school in January and I am both nervous and excited about it. My dream is to finish my degree so that I will be able to help people who suffer from substance and alcohol abuse and also help their families to fight against the ruin of relationships from substances/alcohol. My dream is to find a career where I can mentor /counsel children and make a difference in their lives. Another dream of mine is to get married and have children one day. I’m confident that these dreams will come true in God’s perfect timing! My dream is to be married. I so desire to be married again. I am divorced as the results from being left for another person. But through it all God has so graciously carried me through. Days are hard financially, loneliness can be a huge part of each day, especially now that the Holidays are coming up, but I can so graciously thank my God that He has never left me or forsaken me. I pray that he will send me the right person. I have to have faith and remember in His time. Thank you for your prayers. Thanks for the encouragement, Lynn. For a girl that doesn’t dream enough, it’s a great reminder. I just want to desire what God wants for me. I know his plan is much better than anything I can dream up and so I just hope I can “see” and “hear” what He wants for my life. Thanks and God blesss you. After recently losing my job of 18 years I am lost. I know that God has a plan for me, but I am struggling to figure it out as I feel very disconnected with Him. My dream is to reconnect with Him and getting the job He wants me to have. If I was reaching my fullest potential, I would have more energy and motivation to be a better wife and mother. I feel like I come up short for everything and I wish I could see God’s plan for me and be better able to work towards it. I did come here from Proverbs 31 – thank you for the wise words this afternoon! ‘We’ are getting ready to retire after over thirty years in active duty military service. I am praying that God will show us what and where He wants us to work for His kingdom. It would be awesome to stay in one area and work in one church, one area and really help with the Lord’s work. I just want to serve Him. If I won this beautiful gift box, I would give it to my very talented & beautiful Goddaughter because she is so full of potential and she truly loves the Lord! Bring all that potential to fruition, Lord! My dream is to be an encourager-all the time-not a downer or critical person. Thanks or this! My life vision statement is to be a faithful woman of God who by physical strength, a sober soul and spiritual scholarship has profound effect on every life she touches through the instructions of teaching and counsel. My prayer is that God would fufil this vision and purpose and lead and direct me every step of the way. I agree we need to pray over our dreams, goals and purpose! Thanks for praying with me. I need prayer for restoration and renewal and healing from Husbands very long term sinful choices and for God to replenish the years and what the locusts have stolen, been given. I wish I knew what my purpose in life is. These past weeks our pastor has been talking on reaching out full potential but I yet have to figure out what I am supposed to do. I know I want to be the best mom, wife, friend, I can possibly be but I don’t know what is it that God wants me to do. Thank you! My dream is to have a job that utilizes my God-given talents of singing, acting, and dancing to help others. Right now, I am feeling stuck in my office job but know that this is not where my career journey ends. It’s hard to stay hopeful sometimes, though. My dream is to follow God’s plan for my life and hear His voice loud and clear. I dream to be a Christ-like friend, sister, daughter, and wife that is a Proverbs 31 woman. I dream to experience the Lord’s perfect peace and joy at all times, no matter what my circumstance, and to praise Him at all times! I just want to shine daily for Jesus, but sometimes it seems that all gets lost in my day to day list of things to do which includes my job. I want to do more to honor Him everyday! I want to tell others about Him & all that He has done for me! My biggest goal right now, however, is to help my young daughter strive to know Him better. Those early teenage years are so challenging and I pray that she will see beyond all of the pressures that age brings with it and know that living for God matters most above all else! Thank you. I have been writing for over six years and have nearly completed my first book. I love to write and feel it is God’s design for me to write to His glory. My critique group has been telling me the writing is in need of more comprehensive dialogue and better “staging.” I know I need the instruction, but I am discouraged.I feel I’m not up to completing this work. I pray daily that the Lord would put the right words on paper that it would be to glorify His name. May I hold fast to the dream of completing a book that will resonate with readers. My dream is to learn to just trust in the Lord for everything in my life. I am the type of person that usually tries to fix the problem and when I can’t, then I call on God, my dream is to call on God first and trust that He is the only one who can right a wrong especially when it comes to my family’s attitude towards each other. Please pray that they will put God in the center of their lives so they can have all that He has planned for them and that I will call on Him first.. Thank you Jesus…. Prayers for a miracle for my marriage. My husband of 13 years wants a divorce. Prayers for his hardened heart and mind. We are both in ministry and have three small children. Prayers for me to be able to embrace who the Lord has made me to be and to be able to dream… perhaps for the first time. My dream is to see God tell me, “Well done. Good job. Welcome home.” That is from trying all I can to raise my family right leading my boys into healthy future that depends on God, to do my job at work well, to be the godly wife, to be a reliable friend, to be everything that God puts in my path, etc. And He will, Laurie, as He sees your heart to love Him with all you have! My dream is to find a balance where I feel like I am fulfilling my job as mom and coworker at the same time. I pray for the strength to be unapologetically me rather than spending so much time figuring out who others want me to be. I want to go back to school for my masters – I need the time and money do do that. I believe God has great plans – my fullest potential lies within Him! Thanks for the great post and reminders today! Amen! Free to be you because He made a beautiful, amazing woman in you, Melissa! I am so thankful I came across your blog today from P31! A few months ago I lost my job after 14 years….most days I am positive and I know God is there for me but as I search for a new job, I pray I find something that helps others and gives me the satisfaction of making a difference in people’s lives. I also have a family to support financially. I would love to find something that gives me those things as well as a proper work – life balance. Sometimes I think I’m asking too much…what do you think? Am I selfish to be praying for all of these things? Thanks so much Lynn, for the thoughtful reply and prayer for me. 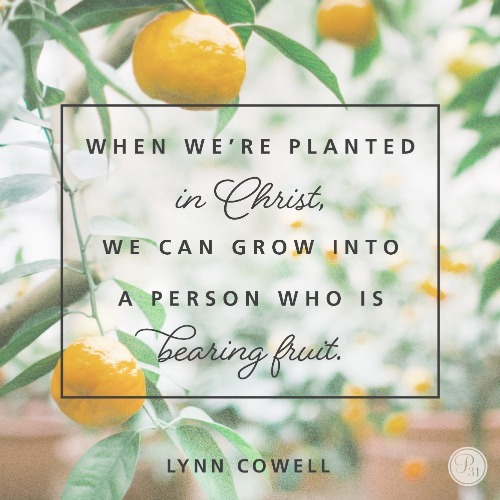 Lord, I pray that you continue to work through Lynn as she reaches out to all of your sheep on a daily basis to help us see the love in your heart and provide the weary with faith in you. Please provide her with all of the peace and strength that is needed in her life to do this work through you. Amen. Last September, my then-husband of 24 yrs (30 yrs together) stabbed me in the heart when he, out of the blue, told me he didn’t love me anymore. Our divorce was final this January. I had always been a sahm; he made $230k+. At a loss as to what to do at 47yrs of age and no real work experience, I started nannying. I’ve been through debilitating depression, continue to suffer with tremendous anxiety, and it seems all of my “friends” have deserted me. My two adult children will be gone, out of state, by this time next year, and I’ll be totally alone….well, except for my 3 wonderful Labs! I’ve struggled how to start over at my age. I’ve finally decided to go back to school next fall for my masters in Marriage and Family Therapy, hoping to help people NOT experience what I’ve had to go through. Through this all, my faith has been increased 100 fold; only God and my dogs have not deserted me. So between now and then, I need to get my 2400 sq ft house ready to sell, list it, find somewhere to rent that accepts dogs, and learn to live on about 1/3 of what I’ve been used to. I am not even sure I’ll be able to make it in college, since it’s been 26yrs since I’ve last attended college! Oh, and I have had 6 back surgeries, suffer from pain 24/7, and have several more bulging discs in my neck and lower back. I feel like my life could be a country song!! I’m desperately in need of prayer please! Thanks in advance!! Just reading your blog after a long day at work. My desire is that God would open the door to new job opportunities that would utilize my potential and compensate me for it. I would love it to be close to home and provide flexibility for my family. In addition, to grow in a God word and be an example for my children. May it be so in Yadira’s life, Jesus. Amen and Amen! I’m in! Not sure about my own dreams, but have young women in my life I hope to encourage to reach their God-given potential. Yeah! Thank you, Debbie, for investing in the lives of young women! What you described sounds like my story. Except that I’ve held God in my heart all along. But hes now worked into the deep recesses of my heart too. Without Him I wouldn’t be here. So much turmoil, so much struggle. And to think, I have so much life to live yet. My dream is to follow Christ in my attitudes and actions as a wife and mother of three teens. I am also starting to follow Christ in encouraging others through my words as a writer. This is a new experience for me, and a step of faith. Right now we have 4 kids including a 4 month old and I homeschool so I’m just overwhelmed and not dreaming much. However, I do know my husband and I would LOVE to own a beach condo! I would also like to take some decorating classes. My husband is writing some books and we would love if God would make them a success so we can travel as a family to homeschooled conventions selling them. Our biggest desire right now is to be together more. I love that you have dreams and desires, Jemma! I’m in! This is what I have been needing. I am at a crossroad in my life and praying for God to help me know my purpose through him. I am thankful for all he has blessed me with. Sometimes it is just hard to know which way to go next. I’m Sooooo IN!!! I actually came to your website thru the proverbs 31 email. And Im so glad i did. I have been having a rough time lately with my faith and where God wants me to be. Where my future is going? So your ecouragment devotional hit home for me and for some things my daughter has been dealing with. I will be buying your magentic book for her soon and hope it helps her deal with some things that have been burrowing her so much with her family, friends and her life. I think she has lost her sight of what God wants from her. And hope she will get it back soon. I think we both are going thru similar things right now so i think we both need to learn more about the fruits of the spirit.. So thank you for your words of encouragment and enlightenment. Thank you for encouraging me, Diana! Just today, I was pouring out my heart asking God to help me be a woman who wouldn’t complain about anything. It seems to be way to easy that thoughts come creeping into my mind that are negative and not uplifting to me or to others around me. I want to stop thinking of criticisms of others and of myself. My full potential needs to be that I am such a positive person that Jesus’ light shines through me because of the words I say and the thoughts I think are truly only from Him. Please pray that God would free me from any complaining thoughts or from influences that bring me to a negative place. Pray that God will allow me to have the full potential of living each day for Him in a positive way. Thank you. I’m totally in! I know I have so many gifts and talents God had given me I just don’t know where to use them. This devotional was hope for me to find my purpose. I dream to be able to give myself time reading the bible, being with God and praying everyday. I also pray that my husband would be more supportive of this and to want to have a better relationship himself with God. Thank you.